This flute duet is taken from the second volume of Ernesto Köhler's Forty Progressive Duets, Op. 55. The two flutes are not treated equally: the first flute plays the melody and the second flute the accompaniment. 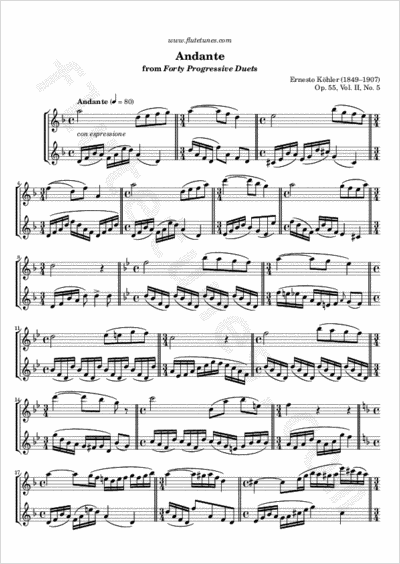 What is peculiar about this duet, however, is that it regularly alternates between 4/4 time and 3/4 time, so that it could almost be classified as a 7/4-time piece.